This application is available on a Galaxy Store installed device. This app is used to install and update Fortnite. ※Tips for playing Fortnite more smoothly! 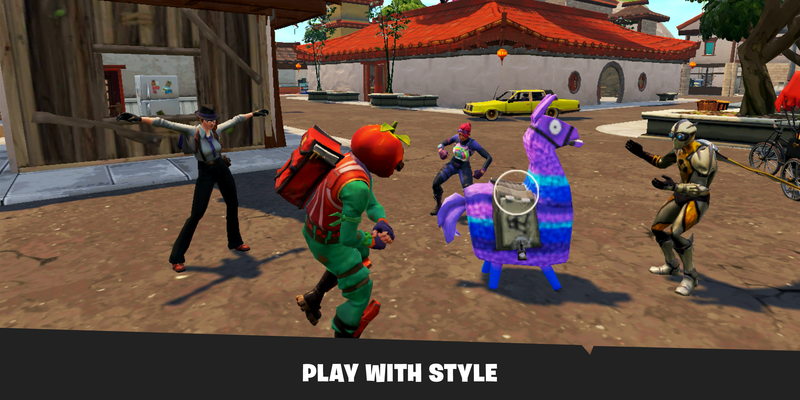 Fortnite is a high-end game optimized for the latest high-performance, high-RAM devices. Your gaming performance may vary depending on the device, so here are some tips that will help with smooth gameplay. 2. Turn Power saving mode off, and then change Game Launcher's game performance level to High performance mode. 3. Select CLOSE ALL in Recent apps to free up more memory. 4. Uninstall any apps that use memory unnecessarily or old apps that aren't used frequently. 5. Freeing up enough storage space helps with smooth gameplay and game updates. 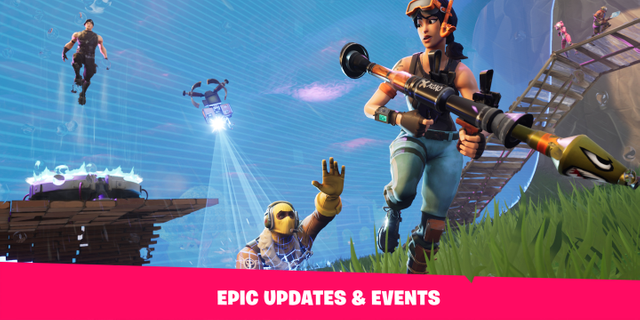 We wish you a wonderful gaming experience with continuously updated Fortnite. SEASON 8 IS HERE - Adventure awaits! Blast yourself across the map with new Pirate Cannons or surprise enemies by riding Volcanic Vents sky high. So much new to discover - start exploring now! NOTE: You will first download the Fortnite Installer. The launcher will guide you through downloading and installing Fortnite. The #1 Battle Royale game has come to Android! Squad up and compete to be the last one standing in 100 player PvP. Build cover. Battle your enemies. Survive the longest. Earn your Victory. On mobile, Fortnite is the same 100-player PvP game from PlayStation 4, Xbox One, PC, and Mac. Same map, same gameplay, same weekly updates. Build your own fort as you battle to be the last one standing. 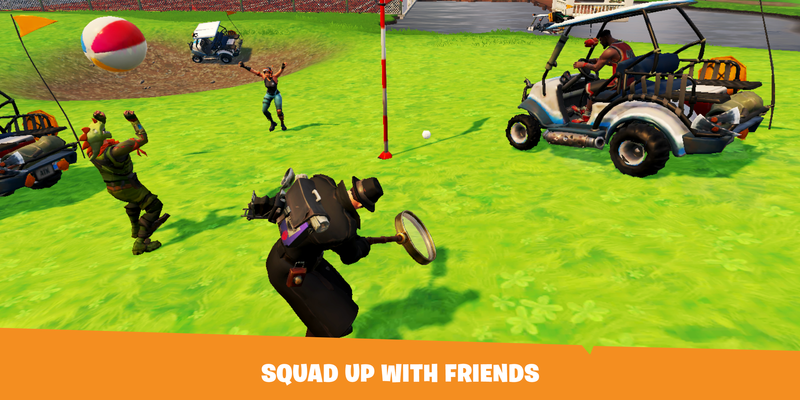 Jump in and squad up with friends around the world or in the same room! GEAR UP - Board the battle bus and  drop in on your favorite zone. Gather resources, collect gear, and battle your opponents! Last one standing wins. Seller : Epic Games, Inc. Thanks for the skin Samsung. Great game. 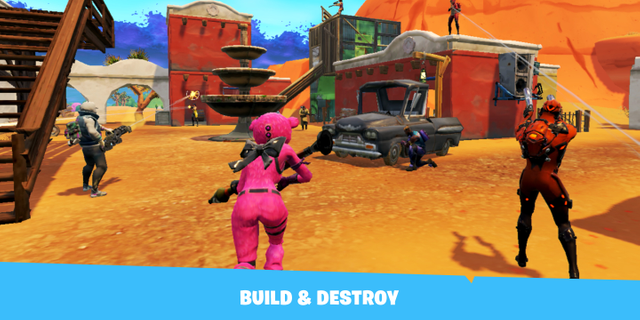 This game is the best i love it, you can build anything you want with your friend and you can go against them if you would like too.